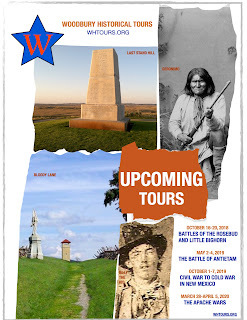 of Battlefields and Bibliophiles: Upcoming Tours . . . Little Bighorn, Antietam, Civil War to Cold War in New Mexico, the Apache Wars . . .
Upcoming Tours . . . Little Bighorn, Antietam, Civil War to Cold War in New Mexico, the Apache Wars . . .